Cook the basmati rice with the turmeric and cardamom in boiling, salted water for about 7-10 minutes until just tender. Drain well, return to the pan and keep covered. 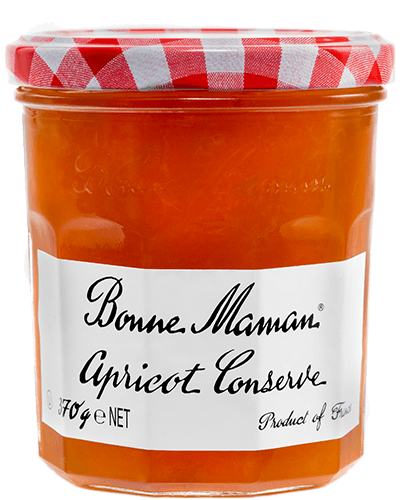 Stir 2 tablespoons of Bonne Maman Conserve into the mango chutney in a small bowl and set aside. Melt the butter in a large frying pan and cook the onion for about 7 minutes, stirring until softened. Stir in the garam masala and the remaining Conserve and keep stirring over the heat for a further 5-7 minutes or until the onions are golden brown and the Conserve is reduced to a sticky coating. Add the cooked rice, lemon zest and herbs to the onions and stir over a medium heat until warmed through. Gently stir in the trout, add lemon juice to taste and cover with a lid or foil to keep warm. 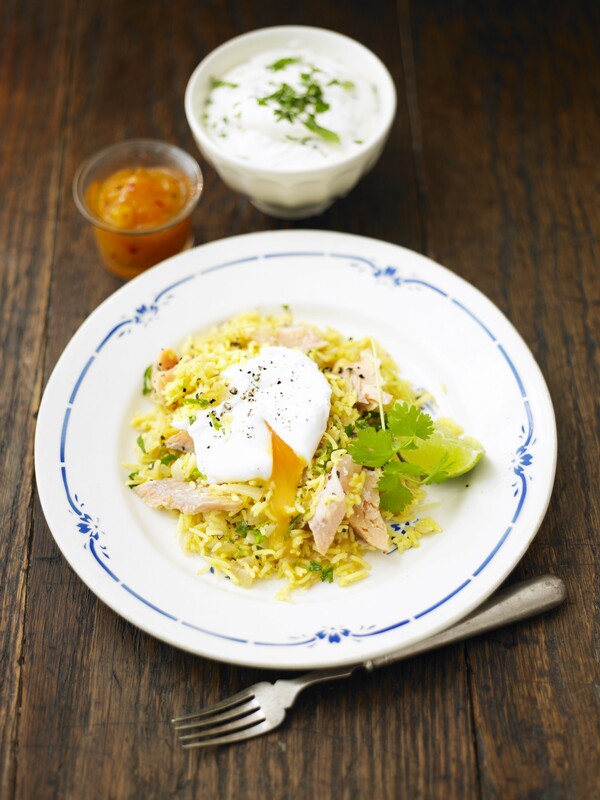 Top the kedgeree with a small, soft poached egg (if using) and season to taste. Have small bowls of the apricot and mango chutney, sour cream topped with some chopped herbs and lime or lemon wedges ready to hand round separately with the kedgeree. Glowing with an orange-yellow luster, small bits of apricots add sparks of acidic brightness to this intensely luscious Conserve.